Third OIKONET "Global Dwelling" conference coming soon. Fifth meeting of the subnetwork Pedagogical Activities in Brussels, January 22-23,2016, hosted by the Department of Architecture, KU Leuven (Campus Sint-Lucas). 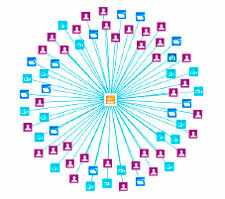 Semantic based environment which facilitates access to the information generated during the project. This project is funded with support from the European Commission (Project number 539369-LLP-1-2013-1-ES-ERASMUS-ENW). This publication reflects the views only of the authors, and the Commission cannot be held responsible for any use which may be made of the information contained therein.